Think of penguins and you typically think of long lines of the flightless birds gathering on ice. 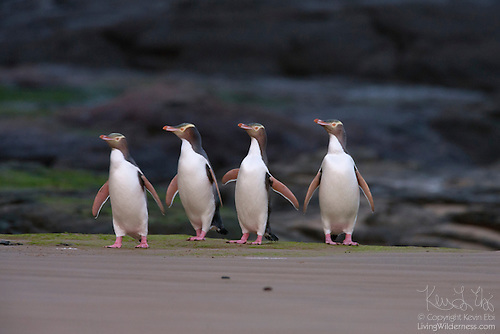 New Zealand, however, is home to several types of penguins that march across bright scenery reminiscent of central California beaches, even if the temperature is closer to the Antarctic. One of these types is the incredibly rare yellow-eyed penguin — one of the rarest penguins in the world. Considered by some scientists to be the oldest species of penguin in existence today, there are only about 4,000 left. And they’re all in New Zealand, where the natives call them Hoiho.